The load of bricks that each stickman carries weighs about 200 pounds. 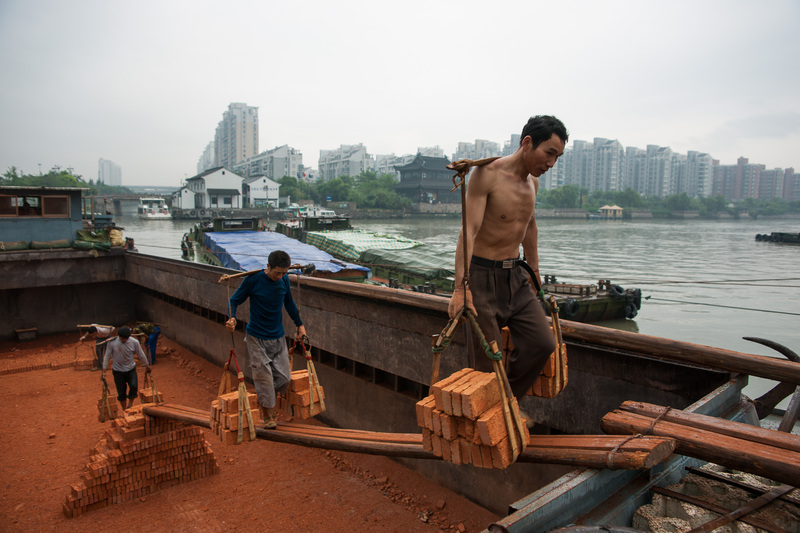 The porters, at Beixinqiao dock in Hangzhou, get the nickname from the handmade bamboo poles they sling across their backs to haul goods. Muscle power has been replaced by cranes and trucks along much of the canal.